The first thing you'll need to do is edit your images down to a sensible amount for your book. I think somewhere in the region of 40-50 photos. At the end of this post I will write down some tips on how to edit down your photos to choose your final edit. 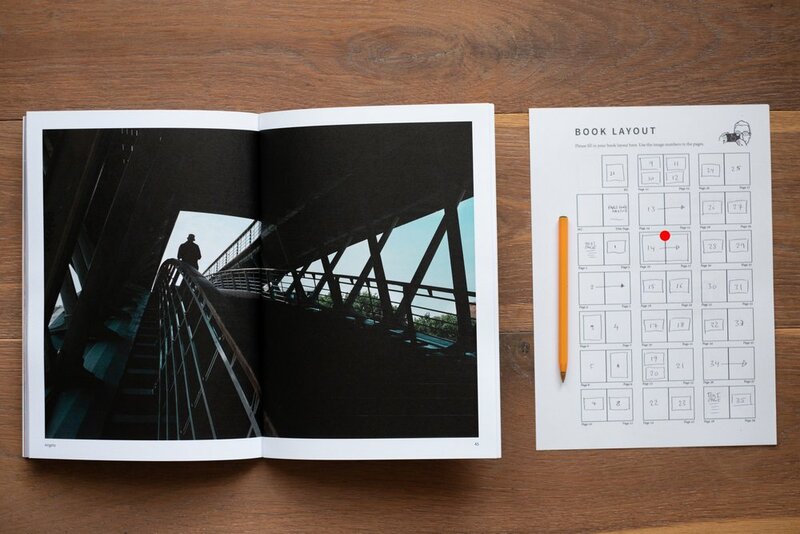 Your Photobook will be A4 in portrait orientation (as above). You will have been given a book layout and order form on the workshop. This will need to be filled in and it will be this information and you photos that I use to create your photobook for you. Please fill in the book layout and order form and either photograph this document and email to me or post it. When filling in your layout form please clearly mark each image with the image reference number. You could of course put a sequence number at the beginning of the file name and use that as the reference for your layout form. There are quite a few different templates you can choose from for your book. You can choose to have one large double page image or have two smaller images per page, for example. You can of course have text pages also. This page requires just one photo and this will be cropped to a square to fit the space as per the sample image at the top of this post. This page will be the title of your book with no photos. 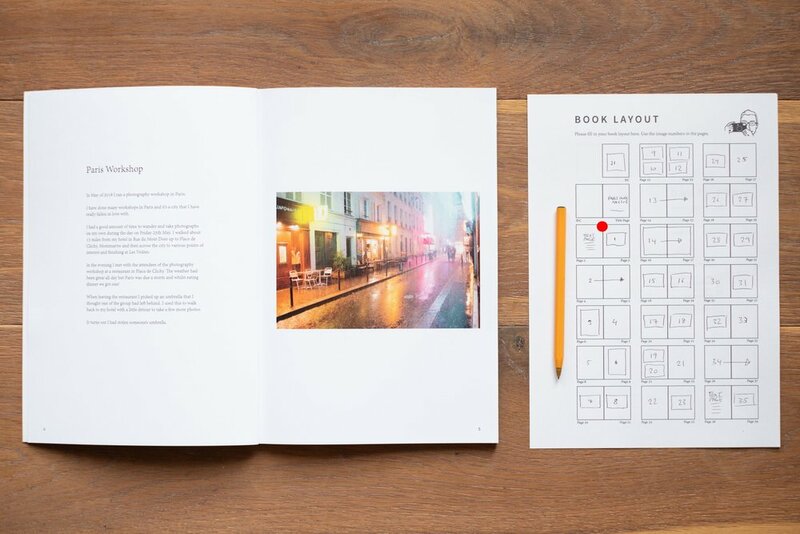 From here until the end of the book you can choose photos or text with any of the template options. This can work nicely to have two full page images next to each other. I would suggest to either do as I have done here, one full page image with a border and one full page with bleed. Alternatively you could do two full page images both with a border. This can work nicely to have a landscape image on one page and a full page image with bleed on the other. Please be careful to choose an image that will work with losing some of the image in the centre for the spine of the book! I have shared with all participants a Dropbox folder where I would like you to supply your images and text. All photographs need to be supplied to me at 300ppi and should not be re-sized, meaning they are full size images. They should be saved as maximum quality JPGs with the sRGB colour profile. Please make sure your images either have the camera reference number as the file name or if you want to, add a sequence number at the beginning. You will be using these numbers to mark up the layout form. You can supply text for text pages. Please supply in a text document and label as Text 1, Text 2 etc. This way you can then mark up the layout format where you want the text pages to go. You probably don't want more than one or two text pages for your book, if at all. You can supply captions for images too. Please provide a text document and clearly mark which image and page the caption is for. Please keep the caption as short as possible. It is such a difficult to skill to get right and I'm very much still learning myself. If you come back from a day out or a shoot and you have 1000 photos to go through, how do you decide what is good and what is not? Where do you start to begin to narrow them down? I normally start by creating a 'long list'. I think about narrowing down those 1000 photos to perhaps 100 or 200. There are lots of ways that you can do this, but I prefer to do this in Adobe Lightroom Classic with the Flagging system. You can mark an image as 'Flagged' or 'Rejected' really easily. You will find these options under the Photo menu too. I simply go through all images at full size and mark as Flagged (P) or Rejected (X). If you have Caps Lock on then when viewing the photos larger (Loupe View), when you flag images it will auto advance you to the next image and this is really useful to quickly go through and choose which ones are good and which are not so. The images that I mark as Rejected will probably be deleted and if you are sure you want to delete them you can choose 'Delete Rejected Photos' from the Photo menu. Sometimes I like to leave it a little while to make sure that I have made the correct decision. Sometimes you can feel definitely about an image with a little bit of time after taking it. So now you have a 'long list' of photos of which you need to narrow down to a 'short list' or the 'final edit'. I don't delete any photos from the long list, I keep them all and mark the photos for the final edit. You can choose whichever method works best for you, that could be to give them a 5 star rating or give them a colour label, green for example. Star rating and Colour Labels can also be done from the Photo menu. I'm going to label mine with a colour label of Green. The next part of the editing process is a little more tricky. 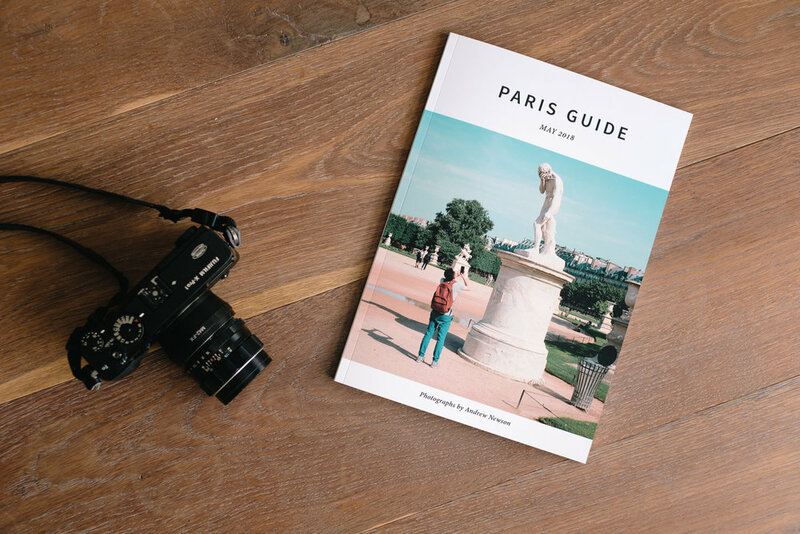 For the purpose of the Paris Workshop Photobook we are looking to narrow it down to around 40-50 photos per person. The first thing I would do is to look at photos that are very similar in appearance and just choose one as your pick. Sometimes it's really difficult to choose just one of a little set of images, so if you ended up with some similar looking photos in your long list, just choose one for your final edit. You could then look to try and include a handful of photos from each different location. Try to keep some consistency in your images without seeming like you're repeating yourself.